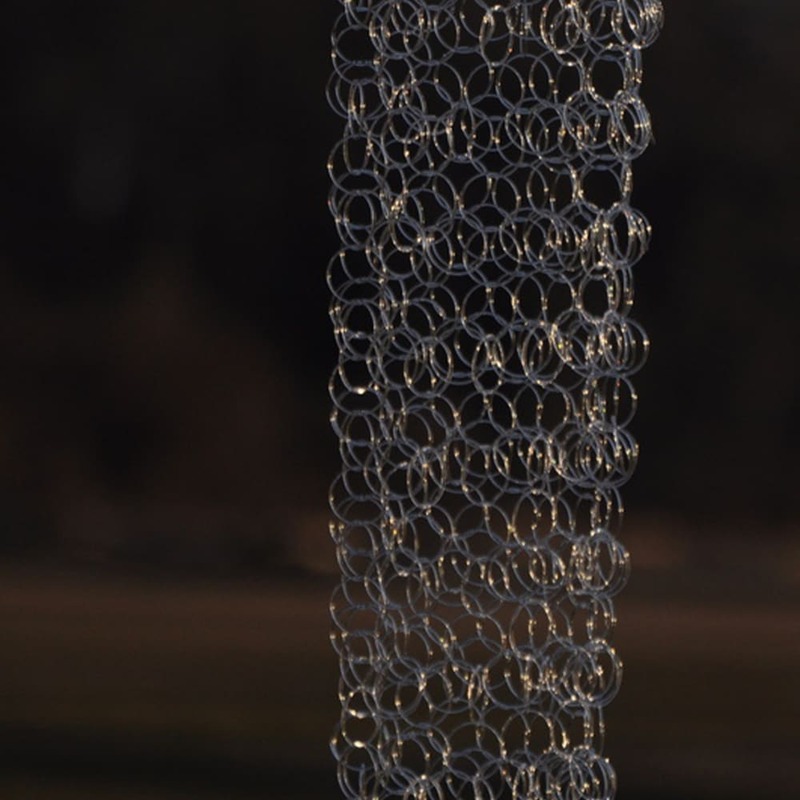 Making chain maille out of glass is implicitly contradictory. It is precisely the opposition of material and use that David Licata embraces in his extraordinary glass sculptures. He uses his extensive knowledge of chain maille patterns and his mastery of glass to make work that explores the idea of protection and fragility. Using borosilicate glass and gas torches, Licata bends glass into links and transforms the links into an elaborate mesh of undulating glass. Licata’s sculptures are variously transparent, opaque, solid and ephemeral, their form throwing shadows on the wall that become integral parts of the artwork. David Licata has a MFA from Cranbrook Academy of Art, Bloomfield Hills, MI and a BA in Fine Arts and Education from SUNY New Paltz, New Paltz, NY.